Due to the harshness of the weather, the window putty usually wears out as the glass stays in perfect condition. It is this putty that actually seals the area between the glass and the frame of the window to keep air out and once it deteriorates, the window is no longer air-proof. In order to keep the humid air outside, you have to replace the putty as soon as possible. 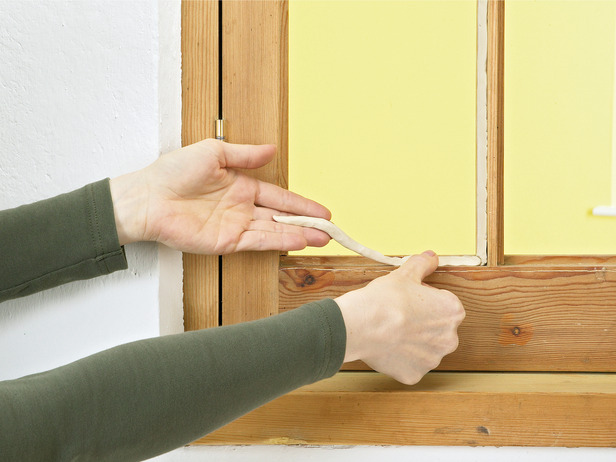 If you want to learn how to replace putty on your windows then follow some easy methods to help get you started. The first thing is to buy new putty to replace the old one. Now you have to dispose the old putty by scraping it away for which you will require a putty knife in order to break the putty in small pieces. Be careful not to damage the wooden frame of the window. Some of the putty might be harder than you think and will not budge unless you heat it with a heat gun or hair dryer. You need to work on one portion at a time while scraping the putty. You should now remove the glass by pressing it from one end to gently detach it from the frame. Set it aside carefully where it will not break and put it somewhere far away from children. Now use the knife once more to completely remove any traces of old putty. You need to paste linseed oil on the wood frame which helps in preventing the putty from drying. Soak a cloth in the oil and wipe it on the area from where you removed the putty. It is now time to knead the putty until to make it soft and pliable. Apply it on the portion of the frame from where you removed the glass. Holding the glass firmly, you now have to re-insert the glass back in the frame. With even pressure you need to press the glass firmly. You can now knead some more putty by making a rope out of the material and then laying it on top of the glazier's points. You will require a putty knife as you push it in and seal the portion between the glass and the frame. It is recommended that you smooth the putty with the help of a glazing tool so that it is not visible from the other side of the window. Finally, you can paint the putty, while some brands can be painted immediately, others require some time before you can put paint on them.